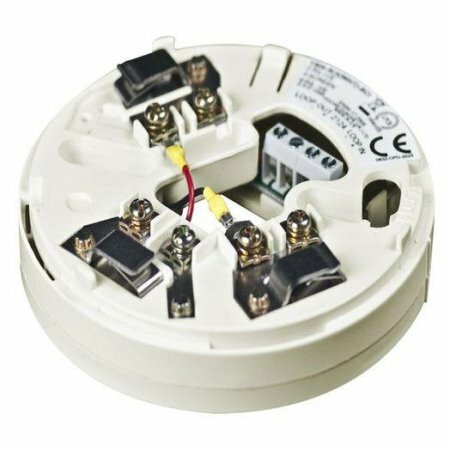 Model YBN-R/3(SCI) is a sensor mounting base featuring an integral short-circuit isolator which will detect and isolate short-circuits on the loop. When a short-circuit is detected during power up the unit will drop the power to the rest of the loop. The YBN-R/3(SCI) is compatible with the ESP range of sensors and does not require a loop address. A remote fire LED facility is provided when a sensor is attached to the base. NOTE: A fitted sensor will still be powered when this device is isolating.